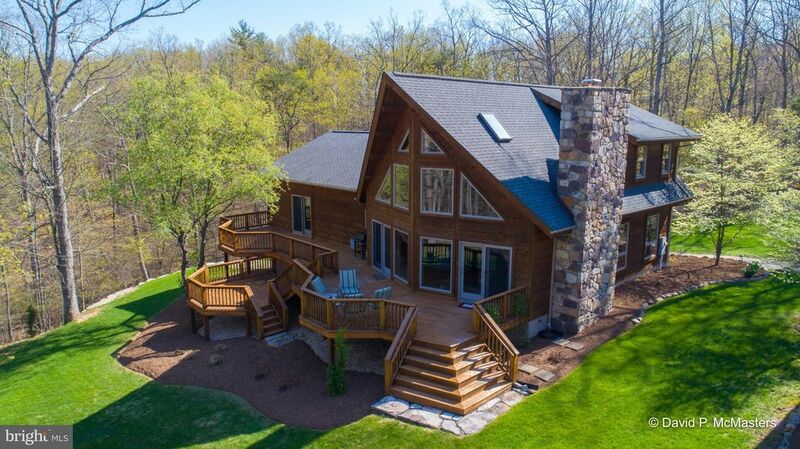 LOG HOME- Contemporary, Kiln Dried, Low Maintenance and Energy Efficient situated on secluded 11 wooded acres! Private escape offers amenities & quality craftmanship! Natural stone fireplace, Alabaster light fixtures, Australian cypress wood floors, 9 ft. ceilings gourment kitchen w/granite tops & thermodore refrigerator/cooktop. 3 car detached garage. 60x12 deck! Additional 5.6 acre lot available.